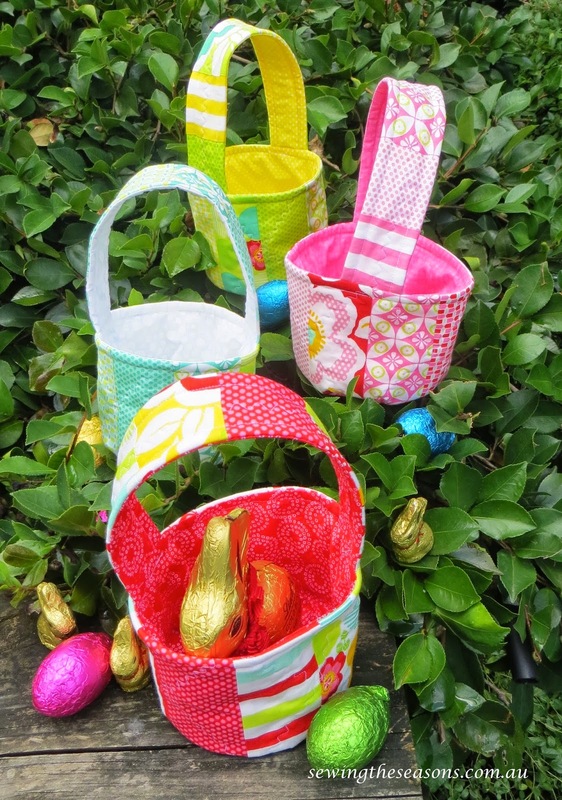 Last year I designed a simple Easter basket, you can find the tutorial here. With Easter approaching, I wanted to make some more this year. 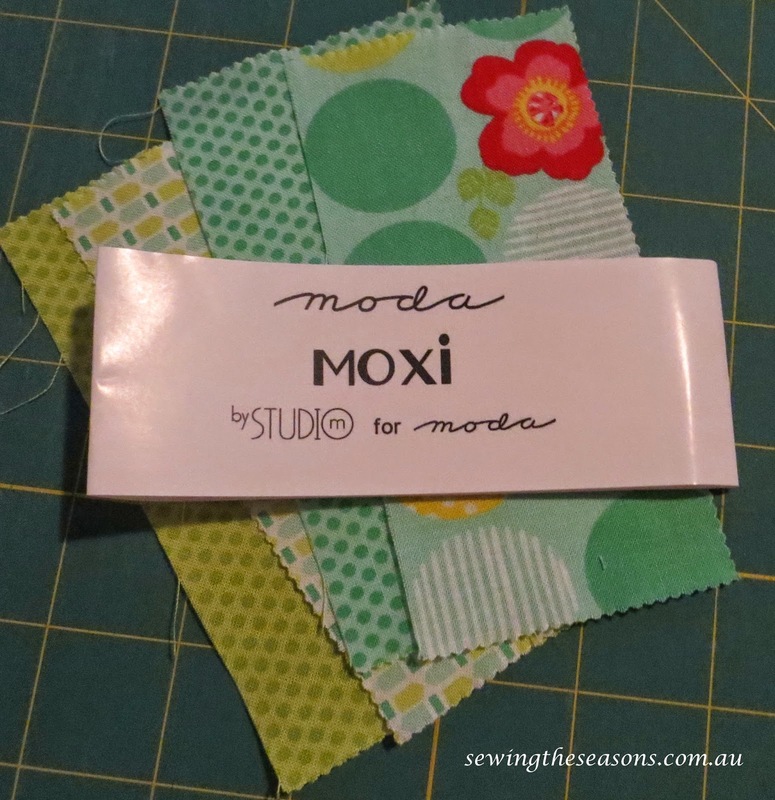 I recently was gifted a couple of charm packs, one of which is the Moda 'Moxi' range, the colours are so crisp & pretty & ideal for the baskets. 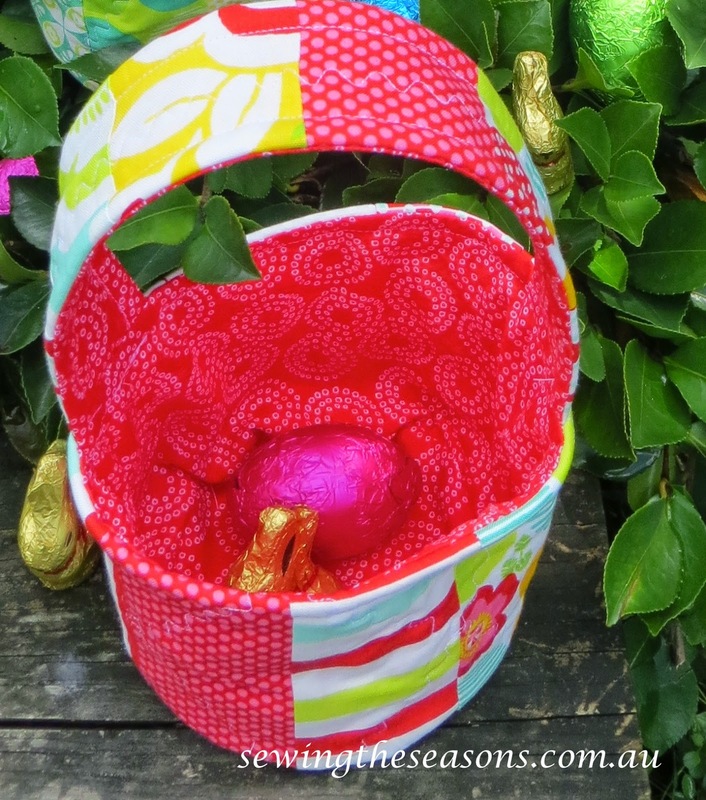 Here are the tips for using a charm pack to make your baskets, don't forget you can use any fabric choice you would like, this is just one option for constructing your baskets. These finished baskets will be 4 1/2" high. I separated the colours into groups of pink, reds, yellow/green & greens. Cut the charm squares in half, giving you 84 x 2 1/2" x 5" strips. Here are 4 of the squares cut in half. Join 8 of the strips with 1/4" seam along the 5" side. This will give you one basket piece 16 /12" long and 5" high. If using charm squares for your outer basket, you will need to cut your basket lining & pellon interfacing pieces 16 1/2" x 5". Join 6 of the strips with a 1/4" seam along the 5" side. Press seams to one side, then cut these strips along the centre to yield two handles, 12/ 1/2" long x 2 1/2" wide. Follow the directions from the tutorial to construct your baskets. Hide the eggs and enjoy the hunt. I'd love to see any baskets you make as well, pop on back and share your pictures.